Nestled in a convenient location just off the Parkway, you'll find "Catch a Star," a beautiful, custom-crafted 3-bedroom Pigeon Forge cabin rental. 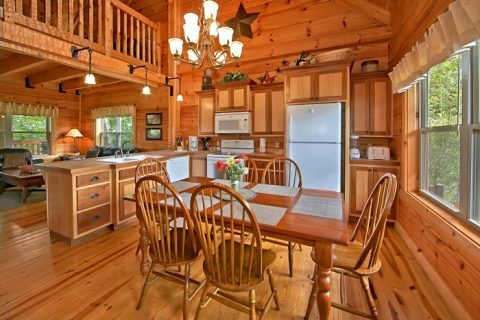 This cabin offers the perfect lodging for your large family or small group. 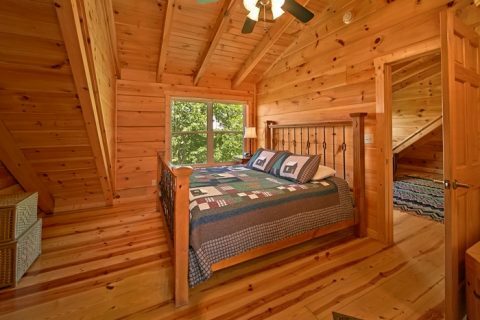 With ample space to sleep up to 10 guests, this cabin in the Smokies is the perfect place to stay for your getaway! 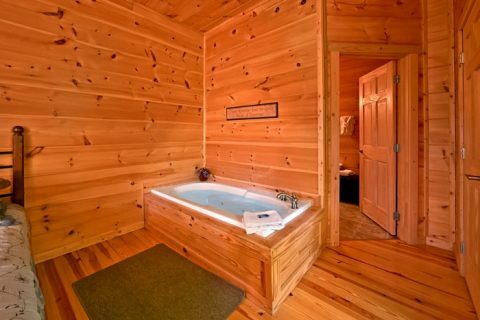 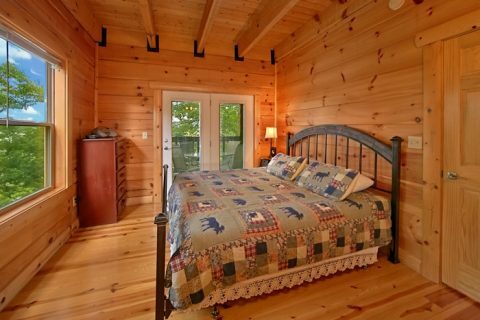 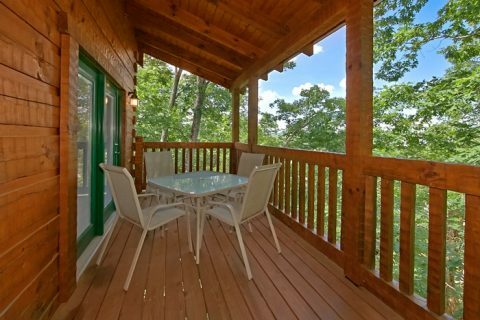 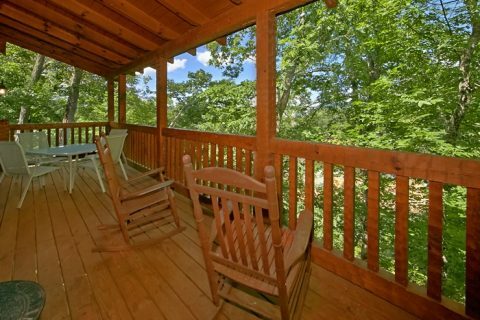 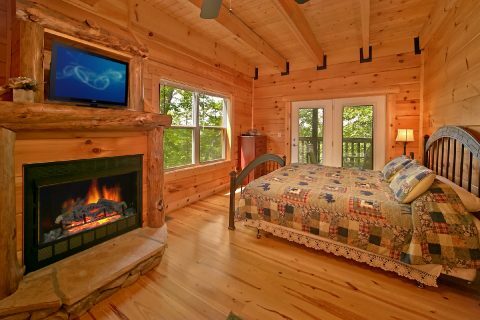 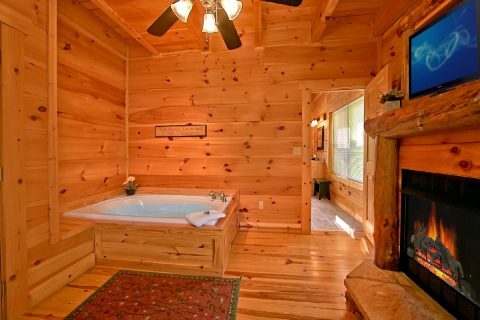 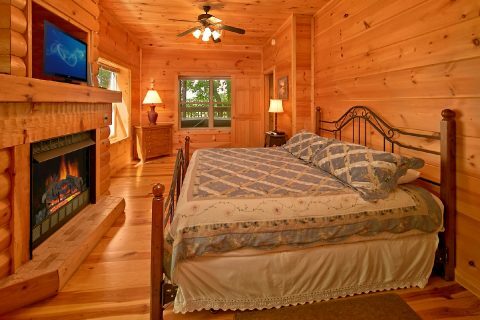 Every room of this 3-bedroom cabin in Pigeon Forge caters to guests' comfort and enjoyment. 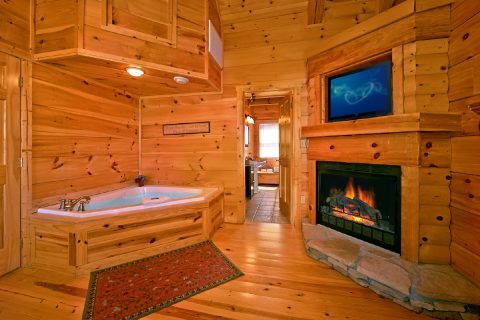 Each of this cabin's 3 king bedrooms comes complete with private jacuzzi tubs and fireplaces with handsome wooden mantels, providing everyone on the trip the peace and relaxation they deserve. 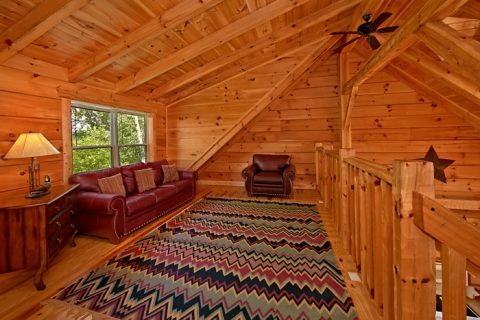 For extra guests, a there's a sleeper sofa located in the lower level of the cabin. 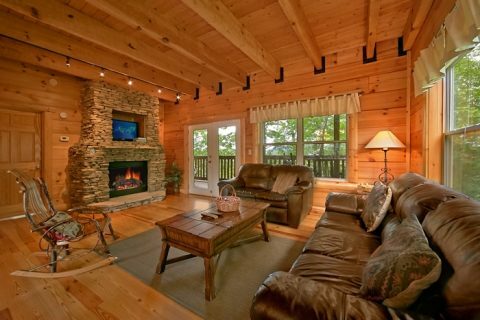 During cooler months, lounge in front of the warm glow of the living room's gas fireplace. 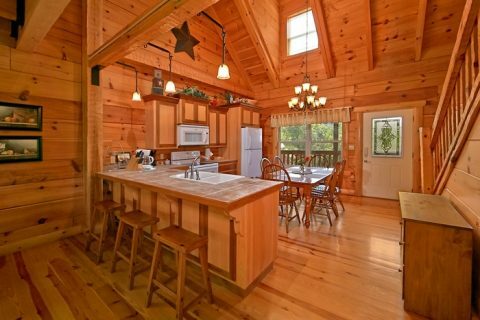 Whip up holiday meals in the customized, spacious kitchen with beautiful cabinets and plenty of counter space. 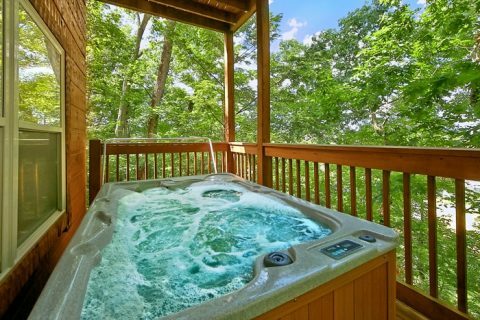 Step out onto the deck to enjoy the fresh mountain air by grilling some hamburgers and hotdogs for that perfect cookout or simply relax in the warm waters of the year-round hot tub. 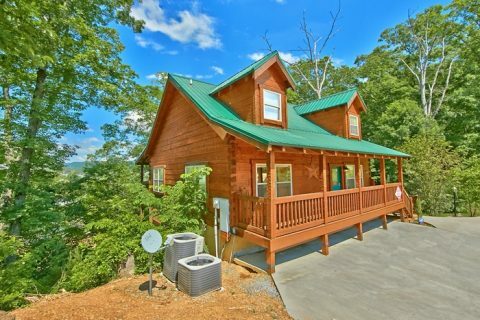 This 3-bedroom Pigeon Forge cabin rental offers guests quick access to all the dinner shows, attractions, and shopping off the Parkway, but there's plenty of entertainment to be found right at home in your cabin. 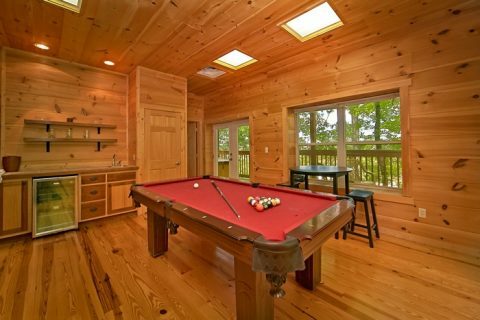 Enjoy several rounds of pool on the billiard table. 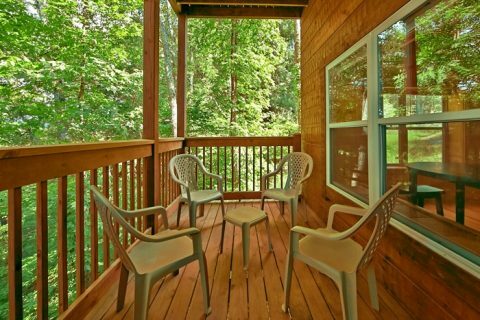 Stream movies, games, and more with this Pigeon Forge cabin rental's free WiFi! 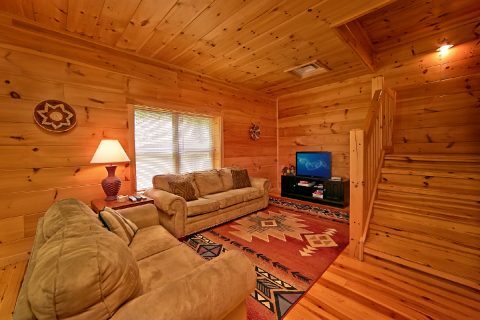 Everyone in the family can enjoy quality entertainment together at "Catch a Star." 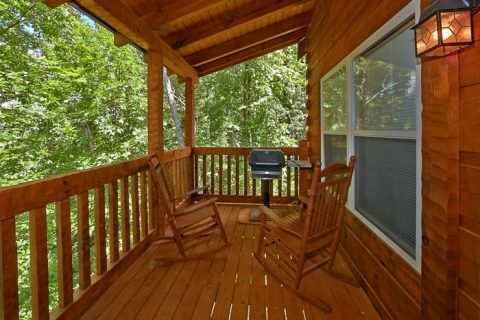 Book this beautiful 3-bedroom Pigeon Forge cabin rental with a fireplace today as your first step toward the Smoky Mountain vacation you deserve and receive an IMMEDIATE ONLINE DISCOUNT!